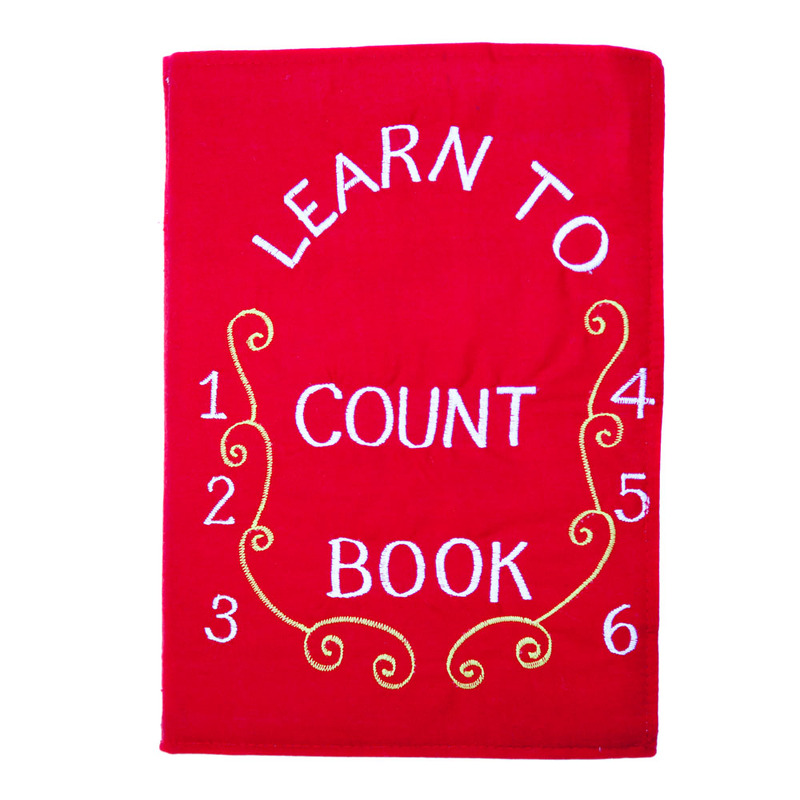 This clever soft fabric counting book is a wonderful educational toy and will keep your child entertained. It features 10 large soft pages containing removable animals and objects from 1 - 10. The animals are held in place with velcro or slide into little pockets eg. bees into flowers, apples into clusters of tree leaves, fish into a fishbowl and chicks into eggshells. Your child can remove them to count or play, then easily count them back into place. A wonderful educational toy which familiarises your child with common animals and objects from the garden and home at the same time as they learn and practise counting. The little soft toys are also sure to become characters in imaginative stories and scenarios! Please Note: This listing is a RED cover. The book measures approx. 25cm high by 17cm wide. It does not have a handle or zip around the edges.